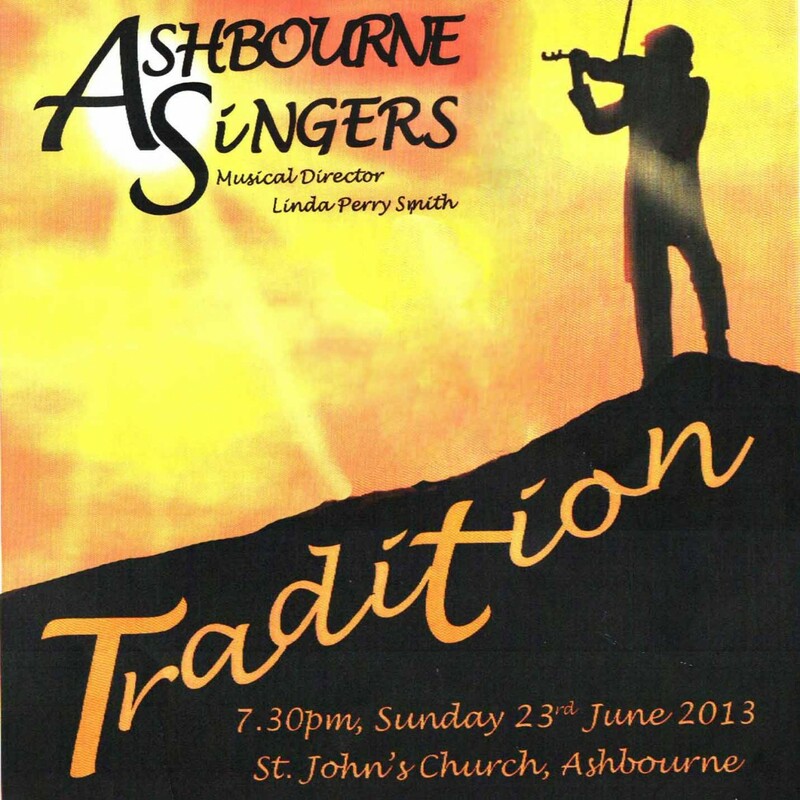 The church was warm, following a sunny day, and filled up quickly in anticipation of another of Ashbourne Singers’ concerts. This time, the theme was ‘Tradition’. Linda Perry Smith, musical director, had compiled an interesting and varied programme, reflecting various traditions through music over the years. She was supported by assistant musical director, Steven Duckworth, on the piano and also by young Joe Shrimpling, a student at QEGS, on the drums. Beginning with the sea chantey ‘What Shall We Do With The Drunken Sailor?’ and John Rutter’s arrangement of ‘Dashing Away With The Smoothing Iron’, the audience were already tapping their feet in an upbeat mood. A quintet, accompanied on the recorder by Mel Gill sang a traditional madrigal ‘Now Is The Month Of Maying’. Steven Duckworth then led a small group in his own arrangement of ‘Black’, before the entire choir gently sang ‘Danny Boy’. Over the years, the choir has grown to seventy strong and the gentlemen have increased both in number and ability. 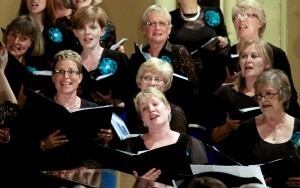 This was ably demonstrated in their singing ‘Mansions Of The Lord’, a rousing, yet very moving piece. Ruth Brailsford and David Sunter then led the choir in a jolly performance of ‘Soldier, Soldier’, making the audience laugh out loud. A change of mood, as Susan Edwards, the wife of one of the choir members and an accomplished soloist in her own right, played ‘Gabriel’s Oboe’, alongside Steven Duckworth on the piano. 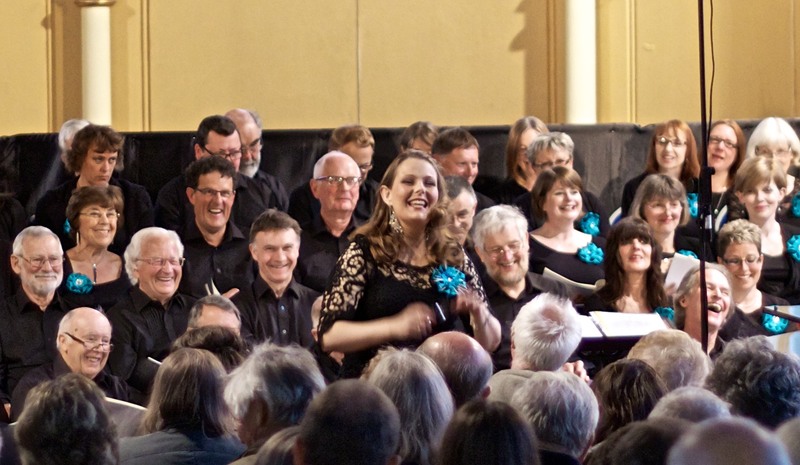 Following the theme of ‘Tradition’, the choir then sang a set of five spirituals arranged by Tippett and they were accompanied by soprano soloist Jennifer Kelly and tenor soloist, Steven Duckworth. Bringing the first half to a close, the audience’s toes were sent tapping once more to ‘The Rhythm Of Life’. Having taken refreshments supplied by Ashbourne Arts, the audience took their places once more, to enjoy a traditional African chant, ‘Jesu Ukukhanya’. What came next was the last thing they expected on this sunny evening. Starting quietly and building to a crescendo, the sound of rain filled the church. Rumble, rumble, crash! The sound of thunder rolled across the stage as the singers introduced Toto’s ‘Africa’. As the choir sang ‘Brindisi’ from Verdi’s ‘La Traviata’, we were reminded to make the most of life while we may. 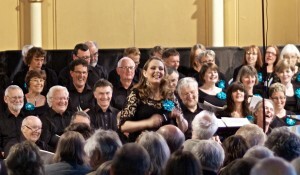 Susan Edwards enthralled both the audience and choir with her performance of ‘Sicilienne’ by Faure. Steven’s small group were brought forward to sing ‘La Baylere’ from ‘Songs Of The Auvergne’ and in German, Musik Der Nacht’, their voices blending beautifully in harmony, before the ladies of the choir became gypsies, singing ‘Wraggle Taggle Gypsies’ and the ‘Gypsies’ Chorus’ from Carmen. Finally, having travelled through many traditional themes, including opera, spirituals, African music and many more, the choir sang a medley from ‘Fiddler On The Roof’, one song from which, of course, was ‘Tradition!’. 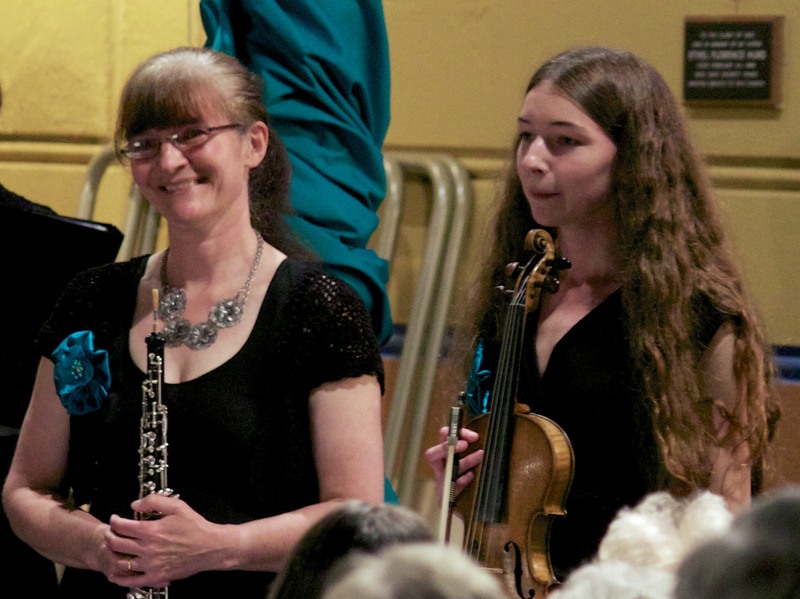 This time, they were accompanied by Steven on the piano, Susan on the oboe and Susan’s daughter, Ellie Barber, a very accomplished young lady, on violin. Beautiful and haunting at times, the accompaniment enhanced the singing through favourite songs from the musical. Smiling, congratulating and contented, the audience made their way home in the gentle warmth of the evening.